The 2017 list of Senior Counsel (SC) appointments has been released by the NSW Bar Association, and it’s noteworthy for at least two reasons: Firstly, it’s the smallest number of ‘silks’ appointed in more than two decades. A ‘silk’ is a common term used to describe SCs and Queen’s Counsel due to their silken robes. The second reasons is that none of the barristers on this year’s list practise in the field of criminal law. The position of Senior Counsel is highly revered in legal circles. It is described by the Bar Association as a recognition of “seniority and eminence”. 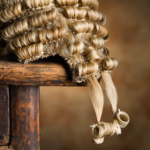 It is highly sought after and most of the barrister’s who apply for the title each year are turned down. Indeed more often than not, the annual release of the list is greeted with criticism from unsuccessful applicants and the broader legal profession. Last year, for example, Sydney barrister Mary Walker took the Association to the Federal Court after her application was refused. 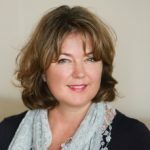 Ms Walker argued that the Association had treated her unfairly, and that the selection protocol shut her out simply because she specialises in mediations, rather than being a “practising advocate” (in other words, a courtroom lawyer). Her case was ultimately rejected by the court. The cases demonstrate the lengths some barristers will go to in order to assert their claims to the title of SC. The release of this year’s list reignited criticism of the secrecy surrounding the appointment process, and triggered questions about why the appointments fail to reflect the breadth of legal practise. This year’s list predominantly featured barristers with commercial litigation experience. 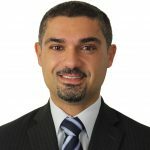 A notable exception was Crown Prosecutor Huw Baker, who is the head of an Indigenous lawyers’ mentoring program at the Director of Public Prosecutions. No criminal defence lawyers were appointed this year – leading to rumblings that the focus is trending towards those who protect the financial interests of corporations, rather than the liberties and rights of people. 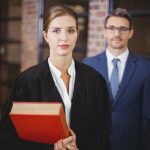 In the past few years, many lawyers have become more vocal about their dissatisfaction with the way appointments are made and have lobbied the Bar Association to be more open and transparent about the process of reviewing applications as well as decision-making. 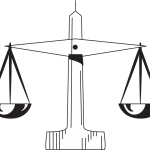 Prior to the 1980s, SCs were called QCs which stood for ‘Queen’s Counsel’ – but a title change was effected by the Whitlam Government when Australia first began to consider the idea of becoming a republic. New South Wales has retained the title of SC since that time. By contrast, Queensland reinstated the title of QC in 2013 and Victoria followed shortly thereafter, giving barristers the option to choose. Becoming an SC is considered a mark of respect for those who’ve earned the title. It also gives appointees the right to wear the special silk robes, and they will often charge a lot more money in return for their services. 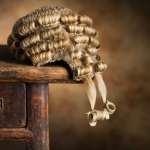 In complicated, high profile cases, many people choose to have an SC represent them, based on the perception that barristers with this title are considered to be the ‘best of the best’. But the reality is that SCs work on all sorts of cases, as as clients can afford them, and many barristers who have not been chosen by the ‘in crowd’ are just as good and, in many cases better, than those who the ‘powers that be’ have bestowed the coveted title upon. That rule meant silks would appear in court with a junior barrister as well as a solicitor to instruct, rather than just a solicitor. But now, Senior Counsel often appear in court instructed by a solicitor only (ie without a junior barrister). 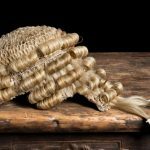 The current situation does away with one of the reasons behind having silks in the first place – which was to “guide” and “advise” junior barristers in court. Of 92 applicants in New South Wales this year, only 11 were chosen as Senior Counsel: five women and six men. This brings the total number of ‘silks’ in New South Wales to 392 – just under 12 per cent being women. It is expected that the percentage of women amongst the ranks will gradually increase in coming years. In fact, the statistics suggest there will be more female than male lawyers in the future, with 63% of newly admitted NSW lawyers in 2015 being women. Out of 2362 practising barristers in NSW, just a little more than 22% are silks.